What are you prepared to do just to get him BACK IN YOUR ARMS AGAIN? What would you give to be able to UNDO the past, and get back to where you once were – TOGETHER? Be honest. Admit it. You’d do pretty much ANYTHING – in fact, just about EVERYTHING! And yet NONE of it has worked. Maybe he’s even REFUSING to answer your calls or texts. Maybe he’s actually BLOCKED you completely. You are USING the WRONG APPROACH, and for the WRONG REASONS. And besides that, you are SAYING the WRONG THINGS to him, and at the WRONG TIME. And as a result, you are DEEPENING the breach between you, and DRIVING him FURTHER AWAY. Is that really what you want? Is that really what you are meaning and trying to do? But unless you change your behavior, unless you stop doing the things that are wrecking any chance of getting him back, you could be spending the rest of your life alone. Don’t worry, though, because I am going to change all that. I am going to show you the secrets you NEED to know to get your ex back – the powerful secrets that actually WORK. You see, right now, you are almost certainly doing the one thing that is guaranteed to drive your ex further away, instead of drawing him back to you. This is something everybody does after a breakup – and you’ve probably done it already. Don’t worry though, there is a way back, and I can show you that way. But it won’t be easy. In fact, unless you get this vital insight into your boyfriend’s mind and heart, your relationship could be over forever. There isn’t a “magic system” that can bring your boyfriend back. No, it will take time, patience – and knowledge. Knowledge of how you can turn things around so that your boyfriend wants to be with you again. How? By changing the way you behave towards him. You see, there are ways you can behave, things you can do, that can change the way your boyfriend sees you – change it completely. These actions are based on the simple but universal psychological principles that govern all human actions and behavior. you can PULL HIM BACK TOWARDS YOU. And you have to apply yourself to learning the skills that will draw you boyfriend back to you. These are the skills I will show you in The Ex Boyfriend Guide. When you use the skills and knowledge you will learn in The Ex Boyfriend Guide, you won’t just be giving yourself the best possible chance of getting your boyfriend back. You’ll also learn the skills you need to create a whole NEW relationship; one that is much better and happier than before. What would it feel like to be back in his arms again, seeing him look at you with that miraculous look of love in his eyes you thought you’d never see again, and hearing him tell you once more that he loves you and only you, and that he’ll never let you go again? You see, what you probably don’t realize is that your breakup is not really your fault. The problem is that you’ve been mislead, lied to, even brainwashed by the storybook romance, the Hollywood fantasy, all the sheer misinformation that we’ve heard all our lives about what makes love and relationships work. Let me share a secret with you, a secret that is right at the heart of getting your boyfriend back. You can’t CONVINCE your ex that he should come back to you. And when you chase him, call him, tell him how good you are for him, remind him what a great couple you are, or try to prove how much you love him, that’s exactly what you are doing – trying to convince him to stay with you. But all you are really doing is driving him further away. You see, you are using LOGIC to try to get him back. And you can’t get him back that way; you have to appeal to him through his EMOTIONS. No, you need to use quite different tactics. The tactics you can only find in The Ex Boyfriend Guide. Remember, your relationship is unique. There’s no formulaic set of instructions you can follow, one that will guarantee you will get your boyfriend back. And if you want a real chance of succeeding, you need a plan that is tailored especially for YOU ALONE. And I want to make sure you can devise that plan, that unique plan that will work for YOUR RELATIONSHIP. And that’s why I wrote this guide. It will give you the skills you NEED for success. It will show you, step by simple step, how you can overcome your shock, grief and devastation, put yourself back together again, and bring your boyfriend back into your life. How do you contact you ex again? How do you persuade him to see you again? How do you evoke all the GOOD memories, instead of the bad ones? The Ex Boyfriend Guide will show you the best, and the most effective way to do this. The Ex Boyfriend Guide will show you how you can get back on his mind, and stay there, forever. You’ll find out how to create a new, loving and RESPECTFUL relationship with him. No relationship can be happy without mutual respect. If your boyfriend doesn’t respect you, he won’t treat you the way you WANT to be treated. You want your boyfriend to stop running away, and start thinking about you, and only you, again. You want him to reach out to you (even though he’s probably not sure how). You want him to realize he can’t bear the thought of losing you forever. You want him to start wondering how he can possibly get you back in his arms again. And you want him to think it was entirely HIS idea! Well, it’s not as impossible as you think. The Ex Boyfriend Guide will give you the complete plan for getting your boyfriend back. How to get inside your boyfriend’s head. How to create the right plan for your unique situation. How to contact your ex. How to rebuild your relationship. Imagine being able to see the way forward from your breakup. Imagine being able to get your crazy emotions back under your control. Imagine being able to get inside your ex’s mind and heart. Imagine having a plan tailor-made for YOU that will take you straight back into your boyfriend’s arms. Imagine being able to get your ex boyfriend back. This is what The Ex Boyfriend Guide will do for you. It will take all questions you are asking about how to get your boyfriend back, and provide the answers. It will show you, step by simple step, what you should do. But how will you get your ex even to talk to you again? What if he’s cut you off completely? Don’t worry. Even this most terrifying aspect of getting your ex back is handled for you. You’ll be shown how you can get even the most reluctant ex wanting to find out what you’ve been up to, and ready to connect with you again. How? Just how DO you contact your ex after a breakup? What if your ex won’t talk to you, won’t take your calls, won’t even answer your texts? Somehow you need to persuade him to hear you, listen to you, talk to you again. No matter how much your ex is resisting you, The Power of the Text will show you the easy way to get back in contact with him again. Texts are POWERFUL. They are also less threatening, and less intimidating than calls. So they can have a power than is simply MAGICAL. 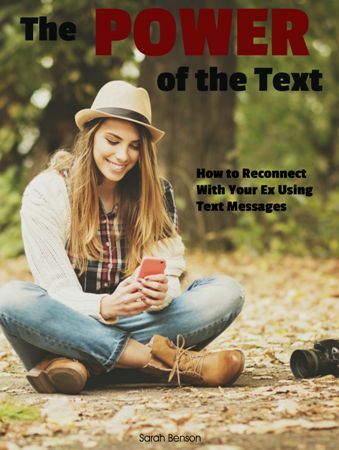 The Power of the Text is a comprehensive, all-inclusive manual for women whose exes are reluctant (or even refusing) to talk to them after a breakup. You will discover a way of convincing even the most recalcitrant ex that he simply has to listen to you after all. Remember, if you want him back, you WILL have to contact your ex again, possibly after weeks of no communication between you. Isn’t that the most frightening thought? But what if it was all made simple and straightforward for you? What if you could use an easy, unthreatening way to get your boyfriend talking to you again? That’s exactly what The Power of the Text will do. It’ll show you the easiest and most effective way there is to get your ex relaxed and happy enough to not only exchange flirty texts, but to agree to see you again. And that’s another ordeal you'll have to face – seeing your ex for the first time after your breakup. You’ll want to be as relaxed and confident as possible if you’re to make the right impression. And that’s where The Ex Boyfriend Guide steps up again with another manual to help you. Even if you usually have enormous self-belief, a breakup will dent it. But what if you are one of those many women who struggle to believe in themselves? How to Have Unstoppable Confidence will show you how to bolster your confidence, and increase your belief in yourself as a unique and desirable woman. Learn how to improve your self-esteem, and give yourself more faith in your standing as a woman and your value as a human being. Imagine what it would be like to feel more confident in even the most challenging social situations. Imagine being able to enter a crowded room and not immediately feel overawed and intimidated. Imagine being confident enough to say NO, instead of allowing people to take advantage of you. Imagine being able to truly like, even love yourself. Imagine being able to meet your boyfriend again brimming with poise and assurance. 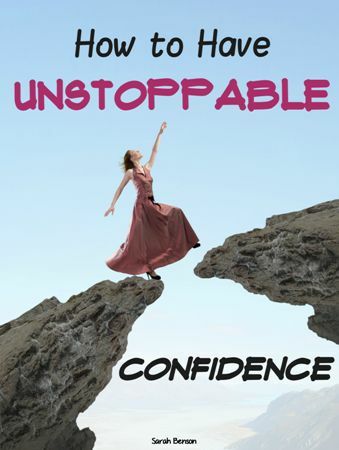 How to Have Unstoppable Confidence will show you how you can take your confidence to a new level. It provides the final piece in the delicate process that will help you to get your boyfriend back, into your life, and into your arms again. The Ex Boyfriend Guide is the best and most complete guide to getting your ex boyfriend back and keeping him. You see, the trouble with most systems is that they concentrate too hard on one special area. Maybe they are great at teaching you how to establish rapport through texting; but they don’t give much (or any) help in building a better, more lasting relationship once you’re back together again. Or they talk a lot about why relationships break down, and the ways you can change your outlook and behavior to make them work – but it’s all theory; there’s nothing to help you through the day-to-day angst of getting your boyfriend back. But The Ex Boyfriend Guide shows you how you can go from where you are now to having your boyfriend back in your life, back in your arms, and telling you passionately that he loves you and only you. What is this information REALLY worth to you? Remember, this could change your life. And for that kind of power you could easily pay $199 and you’d feel it was worth every cent. After all, imagine how it would feel to know your boyfriend is back with you for good. To know you’ll NEVER have to live without him again. To be able to plan your future together...to make those dreams you’ve been cherishing for so long finally come true. And remember, he isn’t going to be out there forever, waiting around for HIS future to happen. After all, he’s a catch, he has options. One day, unless you do something to stop him, he WILL move on. But I’m not going to ask you for $199. In fact, I’m not even going to ask you for $99. If you act now, today, The Ex Boyfriend Guide can be yours at an incredible discounted rate. How much love and faith have you ALREADY invested in your relationship? That is why I am going to let you have The Ex Boyfriend Guide for the crazy, insane price of just $47. I’m asking this ridiculously cheap price because I want you to have the BEST chance to get your ex back, and I want you to have it NOW. 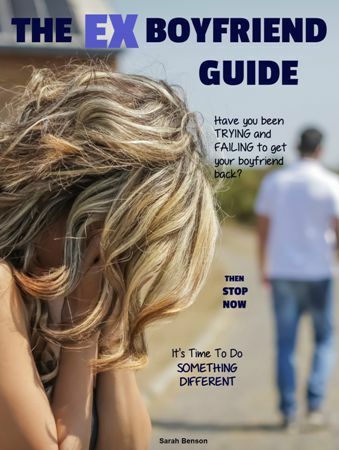 The Ex Boyfriend Guide has been created EXCLUSIVELY for women, for women who desperately want to get their boyfriends back. Did you know that a lot of “get your ex back” systems direct you to different pages for men and women? But if you are rash enough to buy both the men’s and the women’s versions, you’ll find they are EXACTLY the same. Personally I think it’s a little dishonest, and it’s certainly disappointing. We all know men and women are DIFFERENT. You want to be sure that what you are getting is customized to fit with YOUR unique experience as a woman. Without this special knowledge, you may never succeed in getting your boyfriend back. Instead you’ll go on making the same old mistakes, mistakes that will drive him away from you – forever. See how The Ex Boyfriend Guide helped these women to get their boyfriends back. For the price of an average evening out, you could be setting out RIGHT NOW to regain the life you were supposed to live. The life that is now lost to you, just like your boyfriend. You NEED those vital skills that only The Ex Boyfriend Guide can teach you. 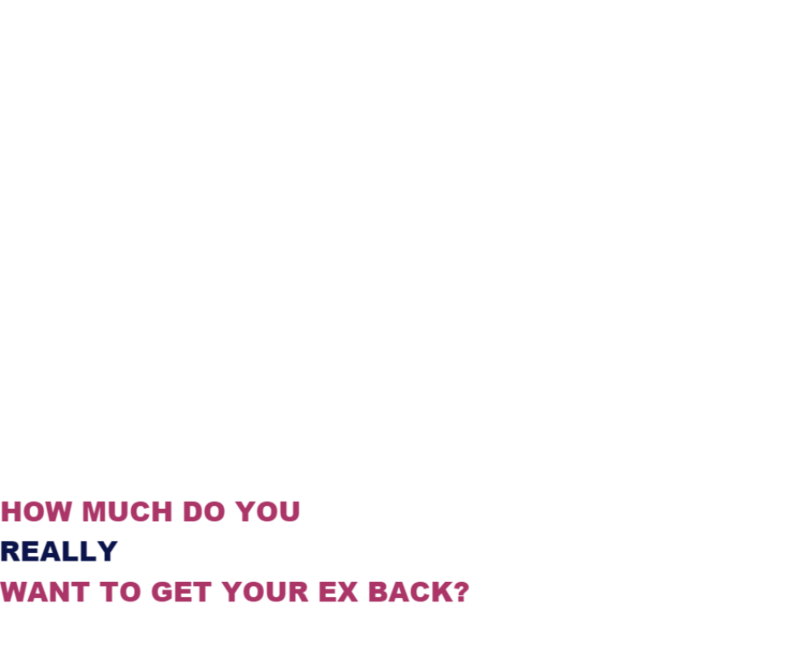 So download The Ex Boyfriend Guide NOW, and equip yourself with the skills you need to get your ex back. All you have to do is click the beautiful blue bow below. Remember, the clock is always ticking. And while there’s always a chance for you to get your ex boyfriend back, the best chance you have is RIGHT NOW. The longer you wait, the more chance there is that your ex will move on. Not because, in his heart, he doesn’t still have feelings for you. But because time and life and new experiences have made him believe he should seek a new life. Because he thought it was time to move on. Is he your future husband? You know that he is. You may never feel like this about anybody again, in the whole of your life. Or will you? Is he the love of your life? If he is, you have a window of opportunity RIGHT NOW to get him back. Click on the beautiful blue bow and you can be starting on your journey to get him back within MINUTES. Make today a day you'll always remember. Make today the day you take the first vital step towards winning your ex boyfriend back!